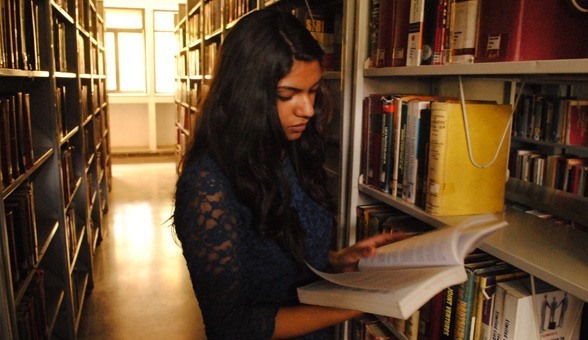 Shelby Foote is often quoted as having said that “[a] university is just a group of buildings gathered around a library.” The library, in NALSAR forms the intellectual core of the institution. Given the stress laid on self-learning and discovery through research, in the University, it is, undeniably, a vital space. 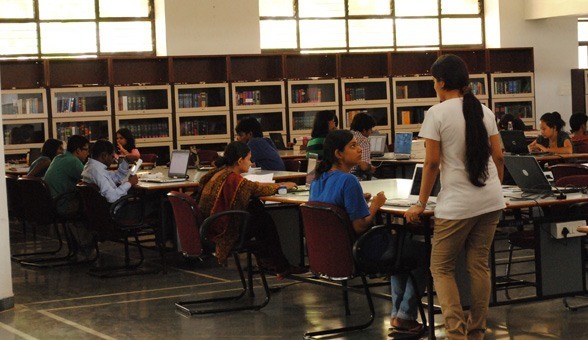 The NALSAR Law Library is one of the largest law libraries in the country, not just in terms of the number of titles, but in terms of capacity as well. 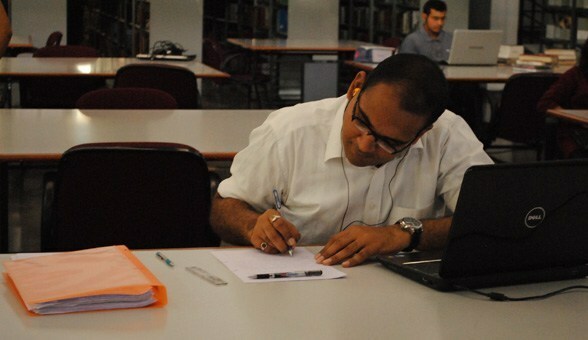 The library is a host to more than 30,000 titles covering various fields of study ranging from law to social sciences. Subscriptions have been made to more than 100 newspapers, magazines and journals. The reference section of the library stocks complete volume sets of the most prestigious and well known journals and compilations in the field of law. The library has subscribed to various online databases such as WestLaw, HeinOnline, Kluwer Arbitration, Manupatra, SCC Online, Economic and Political Weekly, JStor, etc. The Online Public Access Catalogue (OPAC) is a real-time updated internal database which enables users to search the library’s collection and guides them to precise locations. The internal database of the library can be accessed from anywhere. The library is currently in the process of creating a proposal for obtaining access to case records at the various levels of the Indian judicial system and is seeking to generate an oral archive of testimonies surrounding landmark legal developments—cases, legislations or law reform initiatives. To access online databases please click here.